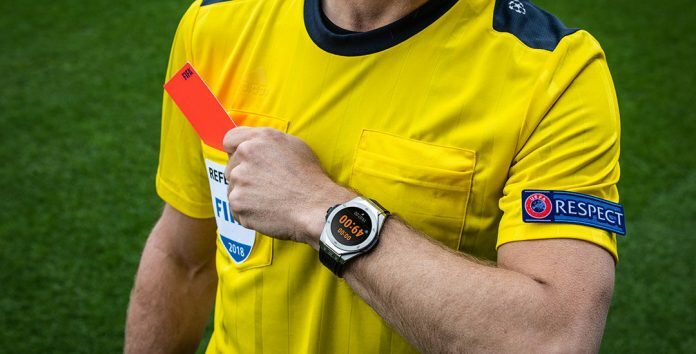 More blessings are coming the way of the Nigeria (Football) Referees Association, NRA at the international level as FIFA has recognized 29 of its active members for the 2019 season. History was made on Monday in the ancient city of Kano as the President of the NRA, Otunba Tade Azeez led the referees, comprising men and women who were decorated with the FIFA badge by the Nigeria Football Federation, NFF, President represented by other board members. 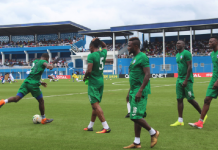 For the 11-Aside football, Nigeria has a list of 21 referees, seven each for Men Referees and Assistants while women has three for the referees and flour for Assistants. Other categories the country parades FIFA referees are four each for Men Futsal and Beach Soccer. Speaking at the event, Otunba Tade reminded the FIFA badged referees to consider their elevated rankings as a call to duty where they are expected to be shining stars to others. He enjoined them to continue to justify why they are found worthy for the international badges while on and off the field of the play as they are privileged to be the country’s ambassadors. after the Ghana spy-journalist exposure of fraudulent football elements, Tade tasked them to establish the right mentality needed by CAF and FIFA, including good health, ability to pass medical and physical fitness tests and knowledge and good interpretation of the Laws of the Game at all times to retain the badges yearly. While disclosing the readiness of the NRA to not only protect the interest of referees at match venues, the President warned that no referee should be demoralized by the unsavory incident on one of the centres of the NPFL league opener where a referee was battered on Sunday for not aiding the home team to win their match in their soil. ” Don’t be disturbed by the Jos incident. We are waiting for the appropriate authorities to make pronouncements before any action. Do your best for our game to grow. Apply best practices in the course of discharging your duties and don’t succumb to the antics of players and clubs to derail the good officiating system we have started for the season” Tade added. Meanwhile two new entrants into the FIFA 11-Aside list is Bauchi State Referees council based Nurudeen Abubakar as referee and Abibatu Yusuf Adunni of the Rivers State Council who is of the Assistant Referee ( Women). Born on 10-12-1993, Nurudeen who was at the centre in one of the opening games of the 2008/2019 in Ilorin attended primary and post primary school in Bauchi. He obtained National Diploma in Public Administration of the Federal Polytechnic Bauchi before proceeding to the isfop Benin University in Benin Republic for Bsc in Human Resources Management. At present, he is a member of the National Youth Service Corps serving in one of the States of the federation. Present at the Badging Exercise were the NFF 1st Vice President, Chairman of the NFF Referees Committee, Alhaji Inuwa Rabiu ( Ahlan), Chairman of Chairmen and Chairman of Match Commissioners Committee, former NFF President, Alhaji Galadima and members of the NFF Executive Committee including the Jigawa FA Chairman. 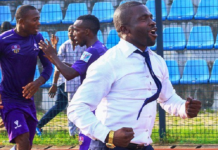 Previous articlePlateau United denies attack on centre referee. Next articleSuper Eagles Captain Mikel Obi linked to a move to Crystal Palace. 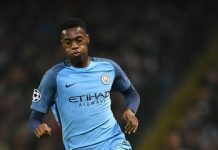 West Brom star Tosin Adarabioyo backs Sterling after racism abuse. 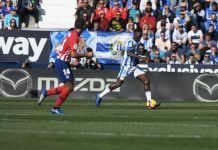 Omeruo helps Leganes pick second away point of the season.